Rocker romance, always sounds good 🙂 So I asked for this to review. Shannon, she’s gone from wild child before we met her to consummate good girl, covering up for her sister Sheila, who’s taken over the wild child mantle. Their parents – deeply religious, repressive, avid church goers, dad is a reverend and they expect the girls to toe their line, even though Shannon is 21 and Sheila 17….It all has to bust somewhere doesn’t it? Shannon meets Luke – in conversation she gives her views on bands, Sheila is currently lusting after one particular band, and its coloured her view of the people involved. Luke’s in a band…but he likes Shannon, more than likes her, so he keeps quiet about it. They get close, very close, then he needs to tour for three months, so he makes an excuse about family to Shannon to explain why he’s away. I liked Luke to begin, but over time he changed so much, made some bad decisions and I could see what was going to happen. I got so invested in the story I wanted to scream “ don’t – don’t do it…” but he did…and of course there’s repercussions. Its a good story when it makes me feel that way! 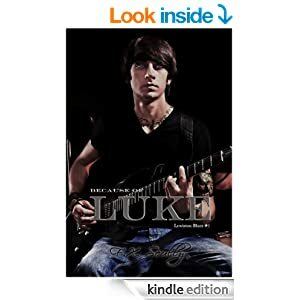 His brother Roscoe had given up so much for Luke after their parents were jailed, that Luke now felt obligated to go touring with the band even though he really wanted to finish school, and it meant leaving Shannon. Poor Shannon, her parents had been pushing her at another boy, one they approve of and all she wants is Luke. She doesn’t see how it’ll work with him away, and though they try at first with phone calls and a visit it gradually all falls apart. I really like Shannon, she’s trying to please everyone but herself, but I think she could have tried harder for Luke. I felt he gave up on them too easily too – and too quickly tried to move on despite still having feelings for her. Sheila meanwhile has been running the bands fan club for two years, and gets the tour managers job, in the midst of a row she tells her parents she’s off and goes…Shannon cops the blame for not keeping her closer, and for covering for her. Sheila thinks Shannon told her parents deliberately where she was to avoid heat herself…so the girls aren’t speaking. . I didn’t like Sheila to begin, and by the end I still didn’t like her. I found her selfish, though she needed to be that, and very thick skinned to fill the role she wanted. Roscoe, as big brother and band leader, really plays a secondary role much of the while, providing background for the other three characters. There’s a slow build up where the reader can see what’s coming, train crash voyeurism…. and when things finally came to a head – well, they really went bang. I understood Shannon’s decision, though I disagreed with it – once again she’s trying to please everyone – though of course secrets have a way of getting out. I really, really didn’t like the end, and I HATE, HATE, HATE cliffhangers, and this has a massive one. To be honest what happened at the end came as a real, unwanted shock, I’ve only seen a similar plot once before and I hated it them too 😦 I just cant see how the story can move forward in a direction I’ll enjoy, now the ultimate ending I wanted has been rules out. But I’ll prepared to be surprised, as book two is out this summer. I’m not sure if that’s the final one, or if there’s a book three planned. Again I need to know these things as reader when buying, because when the story is unfinished and I don’t know when it will be, or how much the complete version will cost it affects my decision. I feel stories broken into separate books don’t work so well for me, I lose the feeling of being “in” the book with the characters, and prefer to read duos/trilogies back to back once all parts are out, and I know what it will cost me. I know others feel differently but I also know there are many who feel as I do. It’s fabulously long at 474 pages for just £1.85 on kindle so a real bargain, and that length really means we got to see characters and plots to the fullest extent. Stars: Difficult, if it was a complete book with the ending I wanted ( ha.. I know its author story not mine) I’d have gone five as the writing and story is full of emotion and drama, but divided and with the current position having taken my ending out I have to bring it down to a four. 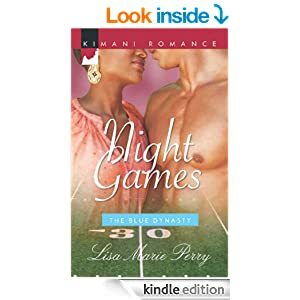 I was hoping for some excitement here, having enjoyed a couple of sports related romances recently. I didn’t really get that though. I found it quite confusing working how who was who, and how they were related. Initially there were lots of abbreviations for characters roles too that I had to keep working out what they meant. I’ve recently read and loved the fabulous Shredded –Tracy Wolff and though that was full of unfamiliar snowboarding terms it didn’t leave me confused as this did. I felt for Charlotte under her parents thumb at home and at work, but they – especially her mum – were cold, not the loving sort but focussed on career, keeping up reputation and money. Happiness seemed to come last on their charts. Yet she was incredibly loyal, and still whenever something when wrong they were harsh, not at all supportive. I’d have said “get lost” or words to that effect long since 🙂 she’s not a teenager, but an adult with solid qualifications, yet all the while striving for parental approval and its clear that she’s not going to get it. Its a male dominated world she’s entering, and that part and how she handled events worked well, its always interesting to see a female trying to overcome stereotypes and prejudice. Nate, great guy but his family – well, much like Charlotte’s they were not good. His dad in particular was a user of people, but his sons just couldn’t see it. All that you’d think would provide a host of interesting scenes and some spicy romance, but somehow for me it didn’t work. I wanted more of the day to day stuff, like Charlotte’s interaction with the young player with bad rep, who she was trying to steer away from his past with steroids etc. but there was little of that. Instead there seemed to be lots of interactions that seemed to lead nowhere, and when the big reveal came over the Slayers it just fell flat. I was hoping for more drama and action, some heartbreak between Nate and Charlotte, but their romance seemed to be off more than it was on and I just didn’t get the emotion I needed. Still – I’m one person etc etc and others will no doubt love this book. I’m always thankful we do have such a wide range of choices, that way there’s always something for everyone. Stars: Three, an OK romance just not really one to remember and make your heart beat quickly.